As part of our regular coverage of Judicial lectures, the UKSCblog.com team wanted to highlight three speeches given in March. All three look at both the practical and procedural changes brought about by Supreme Court’s establishment, and in particular, how this relates to Scottish appeals. Lord Hope spoke both at the Edinburgh Centre for Commercial Law on Taking the case to London – maybe it’s not over after all, and at the Bentham Club, UCL, asking In law, is procedure really that important? Finally, there was a speech by UKSC Chief Executive, Jenny Rowe to Government Legal Services in Edinburgh. 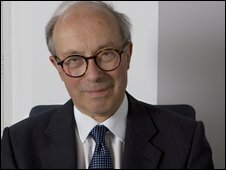 Speaking on the 12 March to the Edinburgh Centre for Commercial Law, Lord Hope provides a sequal to his 1998 lecture that reviewed the history of Scottish appeals and the contribution made by Scottish judges to the House of Lords (as it then was). He concludes with a discussion of the Walker Report proposals. In his second speech, In law, is procedure really that important?, Lord Hope discusses the hisory of the efforts to reform the procedure of the Court of Session in the nineteenth century, and how that has led to the current situation governing the practice and procedure of the Courts, specifically the Supreme Court. He describes this as as “over-regulation”, citing as examples, the length of time for the appointment of the 12th Justice, and also the convoluted way the President of the Court may make rules. In her lecture of 26 March UKSC Chief Executive, Jenny Rowe outlines both the practical issues and background to the changes brought with the establishment of the Supreme Court, from the Court’s Emblem to the building, the IT to the position and status of the JCPC. Possibly of wider interest on the IT side of things, is her statement that “it will be possible to bring electronic bundles on memory sticks of CD and for advocates to use this material in court rather than refer to paper copies” because all three court rooms are “IT-enabled”.